There isn’t really much to say about the Microsoft Band. Microsoft Band is a fitness tracker wearable that can connects with Windows Phones, IOS and Android smartphone to keep track of your movements, heart rate, calories burned, and even your sleep, all while showing you text, email, and Twitter alerts. Microsoft Band comes with small and wide rectangular screen that able to display all information and notifications from smartphone. It equipped with 10 smart sensors for 24-hour heart rate monitoring, calorie burn measurement, advanced sleep quality tracking and more as well as Guided Workouts curated by Gold’s Gym, Shape, Men’s Fitness and Muscle & Fitness. The device also built in GPS that allows you to keep track of your running workout without any additional tracking device. Another nifty feature is that the Microsoft Band comes along with the latest service from Microsoft – Microsoft Health. The Microsoft Health platform includes a cloud service for consumers and the industry to store and combine health and fitness data to create powerful insights. Priced at $199, the Microsoft Band can be purchased from Windows Store starting October 30 in the United States. 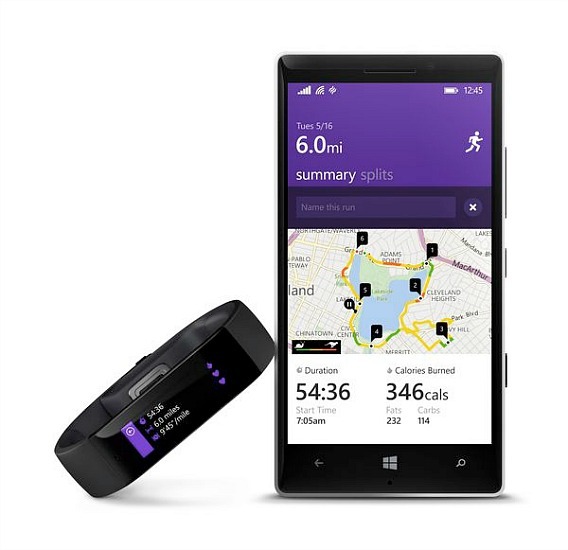 Looking to buy Microsoft Band? You may well have to hurry up as the Band is available only in limited numbers.